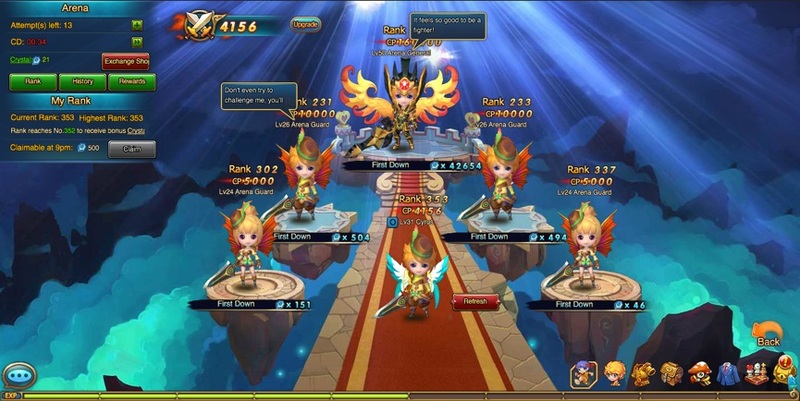 Fruit Warriors is a charming social free-to-play MMORPG from 37Games, which invites players to fight the forces of evil using the power of fruit! Recruit and equip your team of four warriors with the best weapons and armor and utilize their various skills to take on challenging scenarios and improve your skills in special EXP dungeons. Fight to free the land of Heim from the minions of the dastardly Demon Lord! Despite its cute exterior, there’s a lot of strategy to be found in Fruit Warriors. Warriors have active, passive and trait skills, and each class has its own strengths and weaknesses. In addition, there’s a wide variety of equipment you can earn. You’ll need to build your character right and master all aspects of the game to get to the top. You can also join a guild with your friends and complete special guild quests to improve your guild’s standing. Game is no longer on 37 anymore. P2W is not required but gets you there faster of course. Currently I am ranked # 40 in the server. I am vip 3 and haven’t spent a single dime. Don’t be afraid to give this one a try.